Excessive use of social media can take a severe toll on the sleeping hours among children. 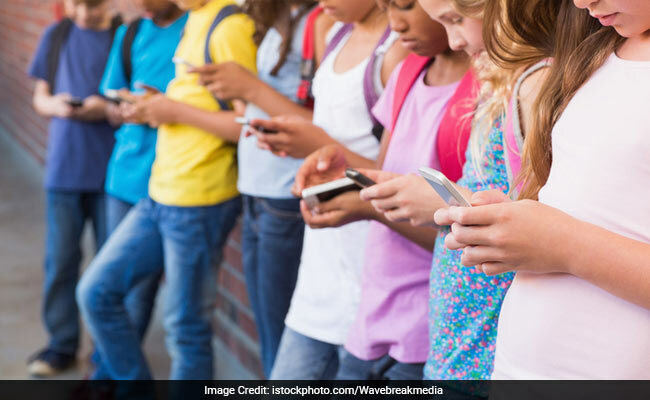 According to a recent study published in a journal named Acta Paediatrica, over-use of social media is increasingly leading to shorter sleep duration among children which in turn is paving way for various disorders. For the study, the researchers examined 5242 Canadian students aged between 11-20 years. They analysed the dose-response relation between the over-use of social media and the shorter sleep duration among the students. The findings revealed that about 63.6% slept less than recommended and 73.4% students reported that they used social media for at least an hour per day. Given the well-known adverse effect of sleep deprivation on health, the figures come as a stark revelation. The impact on social media on sleep patterns is an issue that students, parents and guardians must look into seriously, the scientists noted. Increased screen time is pervasive factor in everbody’s health in today’s society and one is just starting to understand their risks and benefits. Experts around the world say that a minimum of eight hours sleep is extremely crucial for optimal health. Turns out that a little change in your lifestyle and eating habits may bring positive effects on your sleep. Here are some sleep inducing foods that you must add in your daily diet. Bananas can help bring a satisfying sleep as they contain good amounts of magnesium and potassium- both of which are known to be muscle relaxants. They are also packed with good carbohydrates that make you feel sleepy. Flaxseeds are an excellent source of omega-3 fatty acids, magnesium and tryptophan. Magnesium is a muscles relaxant, tryptophan helps in releasing serotonin, the pleasure hormone and omega-3 fatty acids are known to reduce instances of anxiety and depression. Almonds are dense with magnesium that will help you catch more quality sleep. Besides this, they help in regulating your blood sugar levels while sleeping. Milk is a known sleep supporter, as it contains tryptophan, an amino acid that converts into serotonin. Serotonin is known to induce calming effects in the brain. Eat these foods at least 45 minutes to an hour before bedtime and sleep well.